My No2 Camera… the Canon 7DII. Ever since I took a dive into a river during a shoot I have known that I would need a second camera body to complement my main camera, the 5DIII. I’ve been waiting for a while for Canon to bring out something suitable and now they have. The 7DII is Canon’s flagship APS-C sensor camera and it features some remarkable abilities that really suit my professional work. Until they bring out a full sized sensor camera with these abilities this will do very nicely thank you! You can get all the camera’s spec online at the push of a Google so little point me listing it all here but I thought it might be interesting to tell you why I coughed up the required £1,600. Firstly I needed a decent camera but didn’t want to pay the earth. I love photographing dogs and plough all my profits back into the business but no way can I stretch to the sort of money needed for a 1DX! I also needed a new long telephoto and had to factor that as well. 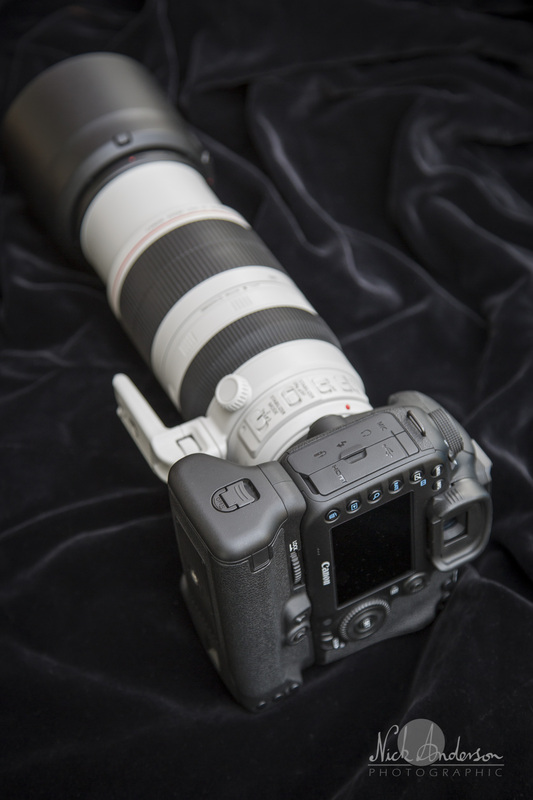 For the cost, the 7DII packs a lot of ability and durability into its shell. The Autofocus system is absolutely top notch, probably the best Canon AF system yet, and is just what I need for fast moving gun dogs! It covers an enormous area of the sensor (65 AF points) and they are all cross-type, which have the most capable form of detection. This allows the camera to track a subject very accurately and keep it sharp, even as it dodges around. The camera has been upgraded to a professional standard of weatherproofing and strength so I don’t have to worry if I get caught in a shower. I have already dropped it onto the concrete garage floor so can personally vouch for the strength of the magnesium frame. 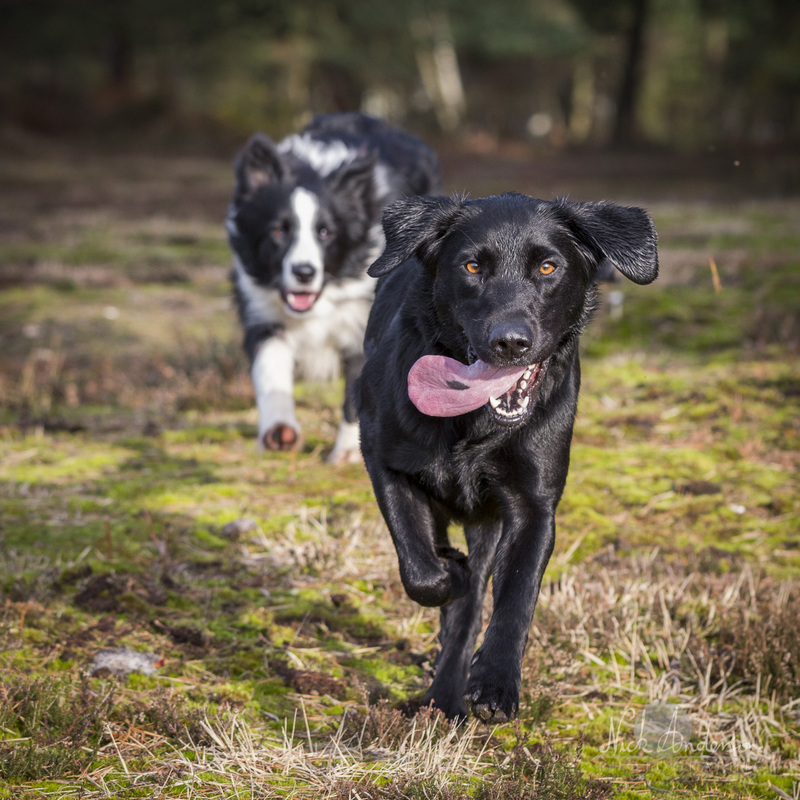 I shoot almost exclusively in Manual mode when photographing dogs out in the countryside as it allows me to set both shutter speed and aperture to control the look of my images. To complete the exposure triangle I allow the camera to adjust the ISO so that the photos are properly exposed. The 5DIII does this but the 7DII goes one stage further. It not only allows Auto ISO in Manual mode but I can apply exposure compensation as well. The other vital factor for action photography is frame rate. We would all like to be capable of Henry C-B’s ‘decisive moment’ but when its a Vizsla bounding along at 30 mph its a bit hard to pick that one moment! We need to shoot in bursts and at 10 frames per second the 7DII is fast! Very fast! So there you have it… for the sports photographer a world beating AF system in a professional and sturdy camera body with a frame rate of 10 fps. This isn’t, however, the perfect camera. Shooting at over 1000th of a second needs a fair amount of light or the ISO must rise accordingly to compensate. A high ISO means noise on the image which looks ugly and reduces sharpness. A full frame sensor is much better at dealing with noise than the smaller APS-C sensor found in the 7DII… however, until Canon come up with a full frame camera that has all the features of the 7DII for a reasonable price I must compromise. One advantage of a smaller sensor is, however, the crop factor! The sensor is smaller so it effectively crops the image but still provides over 20 million pixels. For this camera the crop is 1.62 so when I bolt on a 400 mm lens the image looks as if it was shot with a 648 mm lens. Thats quite an advantage when your subject is doing something fantastic but is half way across a field! 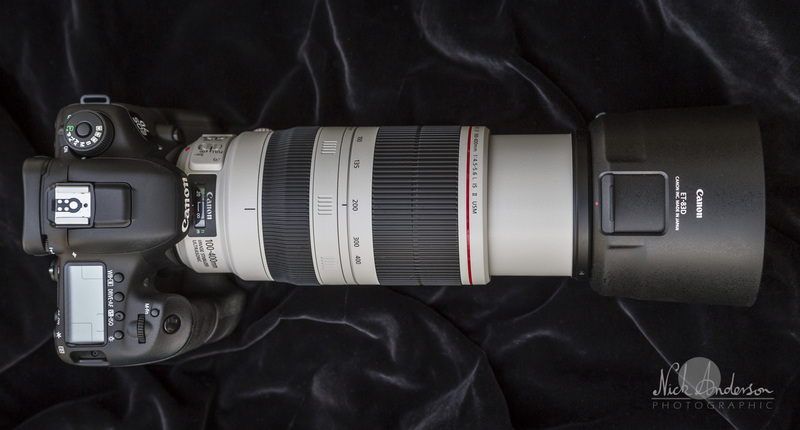 Talking of lenses… along with the camera I replaced my old EF 100-400 L series lens with the new EF 100-400 L MkII. A cracking lens with improved optical quality and even better image stabilisation system. Mind you, it cost more than the new camera! Links to your Galleries and Photos. Just a quick note for any of my lovely clients who use a link (eg from Facebook) to find a particular photo or gallery. As the number of Galleries I have put up rises, I have had to organise them into new areas… client Home Shoot Galleries and Event and Whizz Galleries. This changes the address of individual galleries or photos so if you have an old link it probably won’t work anymore. Don’t be concerned, your photos are still safe! Just go to the Gallery page here www.nickandersonphoto.co.uk/Galleries and click on the gallery you want. Dexter and Tex were the latest super models to come in front of my camera. 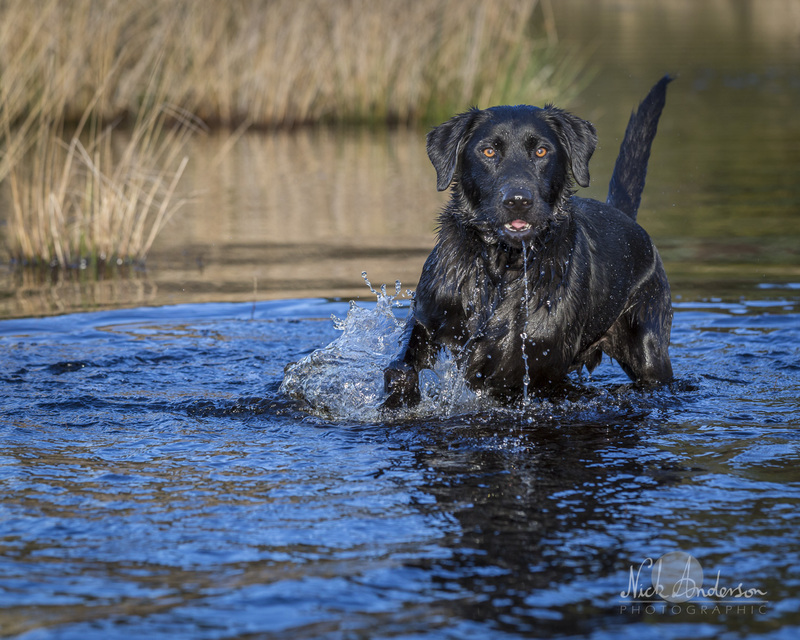 Dexter is a gorgeous working Lab, fit and energetic who looked perfect in the water. His young and flighty friend Tex was wonderfully friendly if you could only keep him still for a moment. We picked a lovely day with the sun glinting off the water so I’m having great fun working through the proofs. As is often the case, trips abroad have kept me from my work but I must be about half way through now.